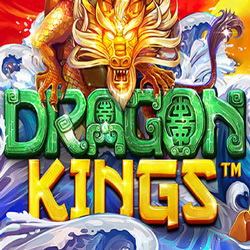 The Game of the Week this week at Intertops Poker and Juicy Stakes Casino is the brand new Dragon Kings slot from Betsoft. This week, get 10 free spins on the mythical new game! Dragon Kings mixes ancient myth with modern artwork, contemporary music, and unique game features. Legends come roaring to life in in the new big screen, high resolution game. All players that made a deposit in July qualify for free spins. Roll-over is 30X on Betsoft games. Maximum cash-out is $250. Available July 30 - August 5, 2018 only. Drawing on Chinese folklore, Dragon Kings features four mythical dragons that once controlled the seas. From instant prizes to duplicating wilds, each has its own unique power that can turn the tide of the game in an instant. A fifth dragon that rules over the protectors of the seas is an animated character that doubles the pay out of winning lines, creates wave upon wave of multipliers, and can offer safe passage to the game’s tiered jackpots. The special sixth reel contains just one symbol – a magical pearl – that can either unlock a life-changing jackpot or trigger a tsunami of free spins. Intertops Poker and Juicy Stakes Casino offer hundreds of online slots and table games from Betsoft, Lucktap and Worldmatch. They also host the most active online poker rooms on the Horizon Poker Network.